Swedish data center developer EcoDataCenter to put the world’s first carbon-positive data center into operation. Data centres are notoriously power hungry thanks to cooling and other energy requirements. They are expected to consume as much as 20 percent of the world’s energy within only a few years and risk becoming one of the largest sources of carbon dioxide emissions, making the deployment of energy efficient data centers crucial. 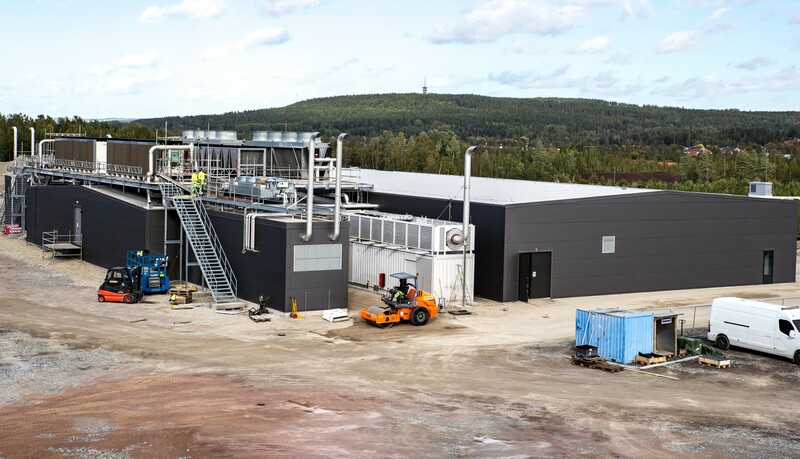 Swedish developer of climate-positive data centers EcoDataCenter is taking a global lead in this segment and is now launching the first carbon positive data center in the world, in Falun in central Sweden. After four years of development efforts, EcoDataCenter has managed to create a data centre that is integrated with the surrounding energy ecosystem to reuse the heat generated and create the world’s first climate positive data center, according to the company. “Being climate positive means that not only are there no carbon emissions, but that during operation it even promotes the reduction of total carbon emissions,” said Lars Schedin, CEO of EcoDataCenter. As a result of its low energy prices, Sweden is already an attractive country for investments in new data centers, which is why several major players — Facebook and Google among them — have chosen to establish centers in Sweden. EcoDataCenter, a provider of colocation data center solutions, expects that their technology for carbon-positive data centers will further strengthen Sweden’s position in the industry and cites growing interest in its approach worldwide.